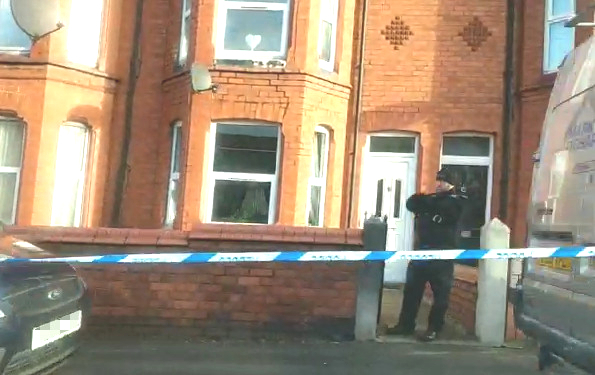 Police have said a 52-year-old woman from Connah’s Quay has just been charged with attempted murder following an alleged incident at a house on Church Street in Connah’s Quay on Sunday morning. Officers were called to the Church Street address, opposite the former Swan Inn pub just before 7am on yesterday following reports of a ‘disturbance’. A man was rushed to hospital with serious injuries, believed to be stab wounds, a woman was arrested in connection with the alleged incident. The woman has since been charged with attempted murder, she has also been charged with a racially aggravated public order offence which relates to comments made to a police officer during her arrest. She appeared before Flintshire Magistrates in Mold this morning and has been remanded in custody. A 52 year old female from Connah’s Quay has just been charged with attempted murder and a racially aggravated public order offence. Remanded in custody to appear in court in the morning. Police were seen standing guard outside the house on Sunday morning while a forensic team worked inside the house, a cordon was in place from the gate post of a neighbouring property along the pathway and around a car and van. “Police were called to an address on Church Street, Connah’s Quay at 6.52hrs this morning (Sunday January 28) following reports of a disturbance. Officers attended and a male with serious injuries was transferred to hospital by ambulance for treatment.